SEO on a Tight Budget - Investor Relations - Market Climber Inc. Using the Google ecosystem, it's possible to achieve a solid ranking on a tight budget. 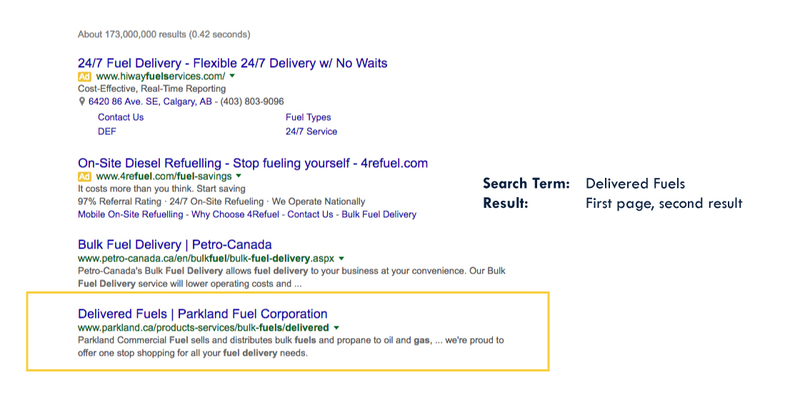 Many companies devote a great deal of time and money to ensuring they rank highly in google’s search results. 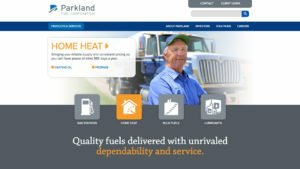 However, we didn’t have that luxury when optimizing Parkland’s website. We found is that it’s actually not that hard to rank highly as long as you’re willing to do some homework. We managed to meet with an inordinate amount of success on an extraordinarily low budget. We used simple on site factors such as SEO title, meta description, <h> tags, URL slugs and alt fields in images. Some data clean-up in key information repositories such as yellow pages and industry Canada was required (Google penalizes discrepancies in this data). Then we tried to generate as much ‘google juice’ as possible by using Google’s eco system of products and services including Google Maps, Adwords, etc. We succeeded in getting most of our keywords to rank within the top five, in many cases in the top two, and in a few cases right at the top. Google’s Search Engine Optimization Starter Guide is a good place to start. OnPage.org also provides a step by step process for SEO. If you’re using WordPress as a content management system then SEO widgets like Yoast SEO can also be extremely helpful. Finally, if that’s not enough, then the leaked Search Quality Evaluator Guidelines that google uses to evaluate search results (Just google it) provides a solid understanding about the framework being used by Google to evaluate organic searches. And yes, the only search engine that currently matters is Google.